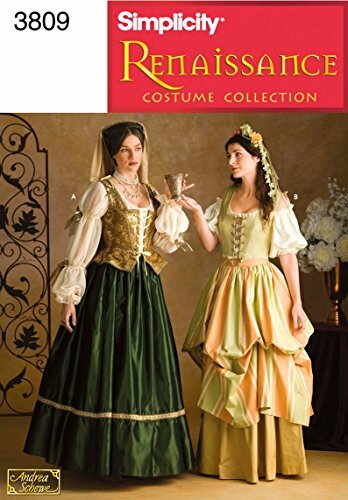 Renaissance Costume Pattern: Special Prices. Halloween Store. Incredible selection of Halloween Costumes, Halloween Decorations and more! 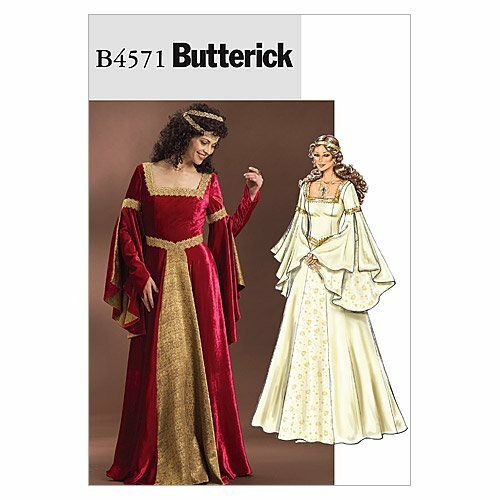 It may be time to practice your best curtsy to pull of this renaissance inspired Simplicity pattern! 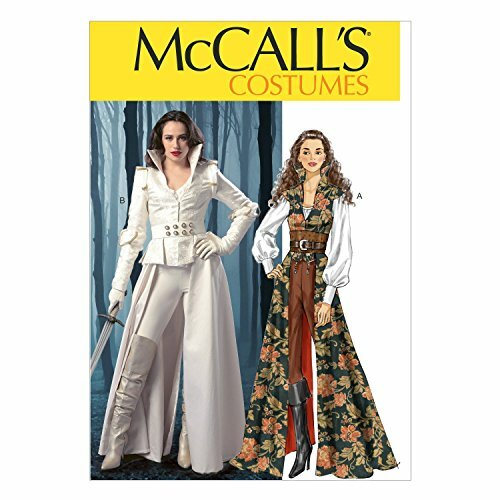 Perfect as a Halloween, theater, or Renaissance faire costume sizes for these patterns range from 12-20. This sewing pattern packet includes instructions for (19) pieces for (3) total looks that are comprised of separates. Instructions are written in English and Spanish. Fabric recommendations included. Time to get ready for the ball! 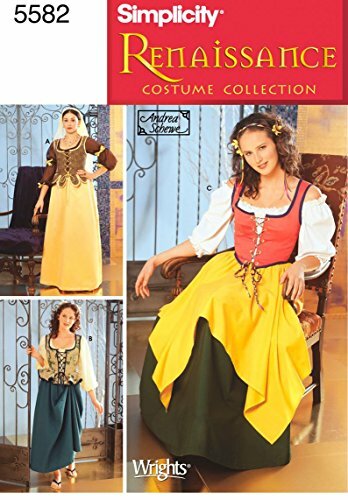 Whether you are preparing for Halloween or perfecting a cosplay pattern or your ren faire costume, this is the sewing pattern for you! 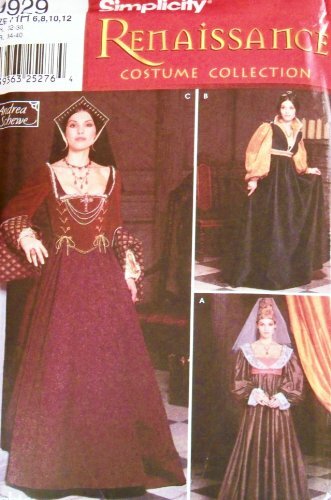 Including measurements for (2) complete looks, this Simplicity pattern can be made to fit sizes for women from 10-14. Fabric suggestions include chiffon, viole, and brocade. 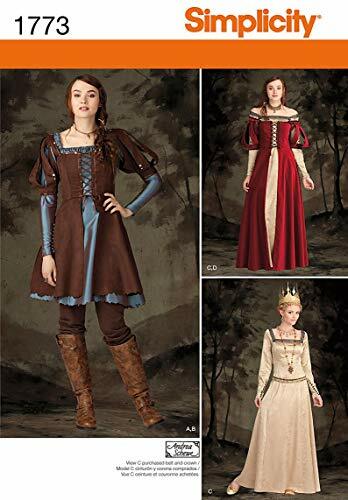 Misses' fantasy dress in two lengths has square neckline and flared skirt. Underdress A, C has back zipper, long sleeve and ruched or trimmed neckline. Overdress B, D has front lacing and short puffed sleeves. 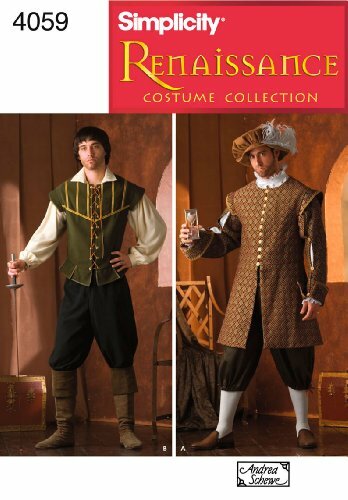 A sewing template for all you Renaissance lovers!